1x: Tell us a little bit about this series of work? 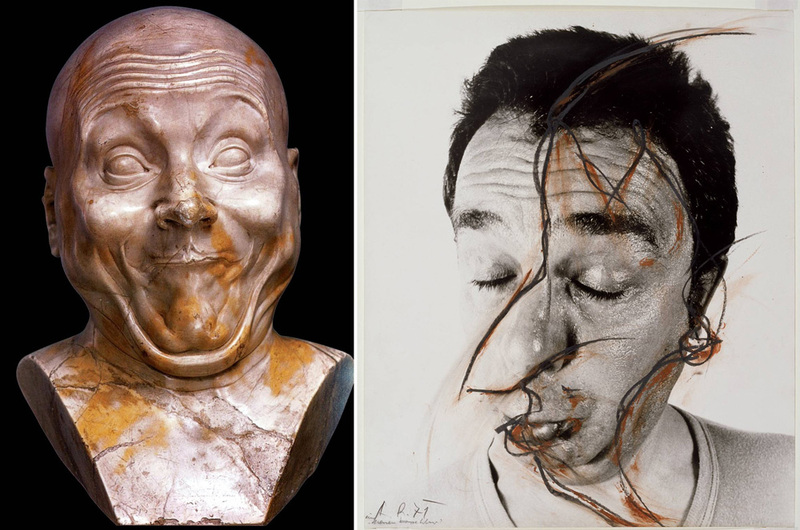 SR/DW: In 1976 Arnulf Rainer created a series of pieces which were responses to Franz Xaver Messerschmidt’s sculptures. Rainer called them “Conversations” with Messerschmidt. The series which Shaun and I did, is in a way an homage to that series, or a continuation of that idea. Essentially, it is about collaboration and the sharing of ideas with people who are having similar conversations in their work. 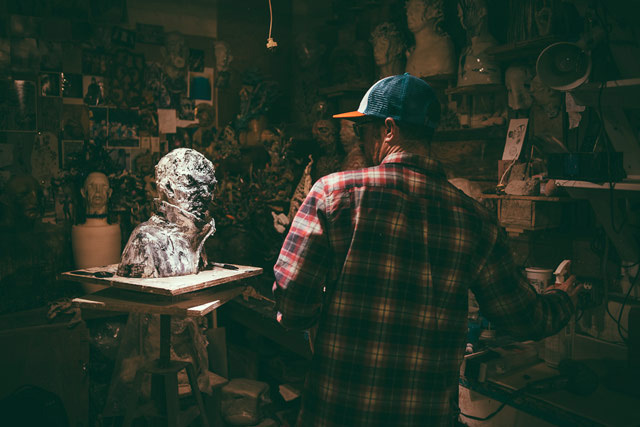 This series is the 3rd installment of a series called Conversatin’ in which Shaun Roberts photographed and made prints of 4 sculptures I had made several years ago. I then took the prints and responded to those images, drawing, painting, collaging, etc on top of them. 1x: Was this series part of a recent theme or show that you had? 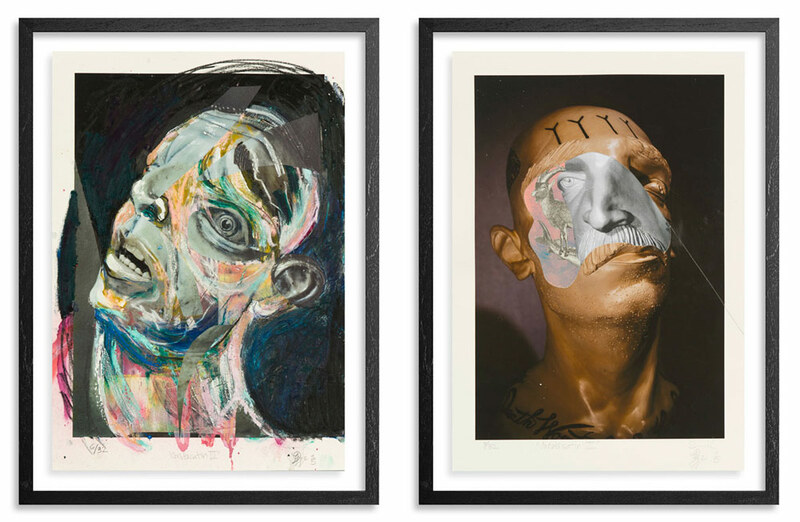 SR/DW: A few years ago Brett Amory, Derek Weisberg and myself worked on the first installment of the Conversatin’ series, which 1xRUN also released. It was a way for the three of us, all ready close friends, to combine our talents and modes of working and to put a lot of our conversations about art and making into practice. Our shared ideas and passions could be put into a realized form. So this is the continuation of that series. Collaboration is something both myself and Derek have been interested in for a long time, and frequently practice. We both feel it is one of the special aspects of art making. 1x: What materials were used to create these pieces with? SR/DW: Shaun initially made archival pigment prints, which I then responded to with whatever was at my fingertips. Which does not mean that the materials were random, rather it was more about immediacy and attempting to achieve a “true” response to Shaun’s view. 1x: When were these pieces created? SR/DW: Sometimes the nature of collaboration is a slow process. I took the photos back in 2013, we didn’t print the images until 2015, and Derek got to work on them late in 2015. 1x: Tell us a bit about your process and how the idea and execution came about for this series? SR/DW: Mostly we would like to speak on the nature and process of collaboration. Collaboration can be an incredibly scary but also an extremely rewarding way to work. One has to give up control, be willing to compromise, have trust, be willing to share and can’t be offended if their work is changed or altered. But if you have trust and believe in the work of the artist you are collaborating with, beautiful unexpected decisions and results can be achieved. In part that is why it’s called Conversatin’; conversations take 2 people, it can’t just be one voice talking. Each artist has to contribute, share their ideas and have their voice heard for the piece to really work. 1x: What do you feel is unique about this series? SR/DW: Well the first unique quality is Shaun’s photography, he is one of the best photographers out there, his vision, his compositions, the ambiance he achieves, his ability to capture deep humanity in his images, are all special. Secondly, I am mostly a sculptor, so my approach to drawings, painting and 2D space will be different. Also this will be one of the few times I have offered any 2D work to the public. Fourthly, the nature of collaboration is unique. 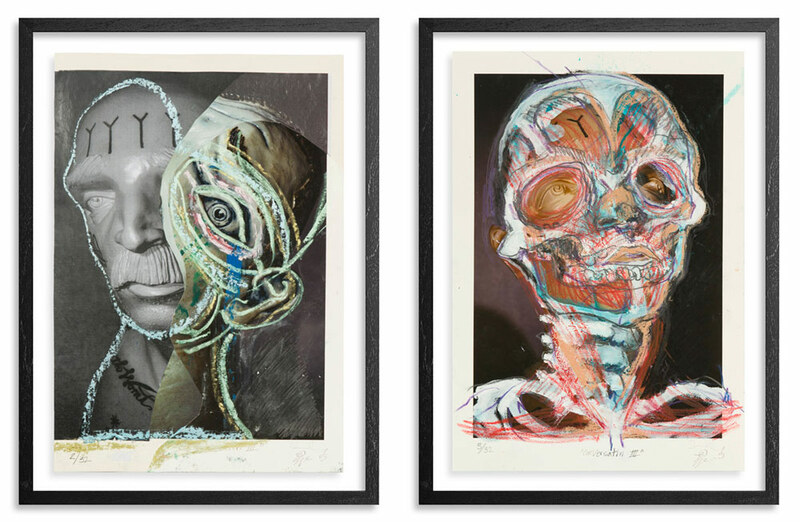 Collaborations are special, in this case the viewer gets 2 artists take on one piece, it’s a twofer. 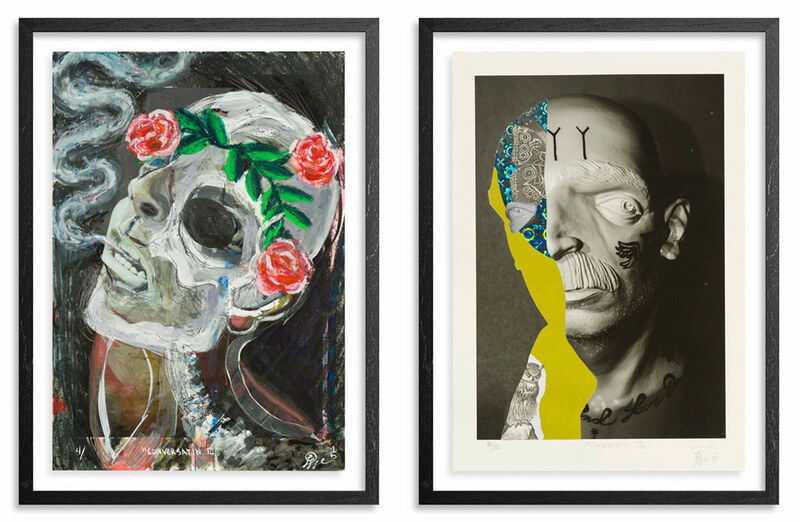 1xRun: Describe this series in one gut reaction word.